The Arizona Fusion Center, also known as Arizona Counter Terrorism Information Center (ACTIC), is a joint effort between the Arizona Department of Public Safety, Arizona Department of Homeland Security, Federal Bureau of Investigation and participating agencies. To support the Arizona homeland security effort the Arizona Fusion Center was established and became operational in October of 2004. The Center operates on a 24/7 basis, providing both intelligence, investigative and technical support to state, local, tribal and federal law enforcement agencies as well as other agencies critical to Arizona and the country’s homeland security efforts. The ACTIC Watch Center is the focal point for citizens and public safety personnel to report suspicious activity through the Tips and Leads reporting system. During FY2016, the Watch Center processed more than 4,060 tips and leads throughout Arizona. Tips and leads submitted by citizens and public safety personnel often result in the immediate mobilization of law enforcement personnel who are deployed to respond to the specific threat or concern prior to a crime or terrorist incident taking place. Click here to email ACTIC. The mission of the Arizona Counter Terrorism Information Center is to protect the citizens and critical infrastructure of Arizona by enhancing and coordinating counter terrorism intelligence and other investigative support efforts among local, state and federal law enforcement agencies. One of the most serious challenges impacting homeland security is the timely exchange of intelligence and critical information between state, local and federal agencies. Accurate and timely intelligence is the key to the most fundamental responsibility of government, protecting its citizens and critical infrastructures. The ACTIC provides tactical and strategic intelligence collection; analysis and dissemination support to local, state, tribal and federal law enforcement agencies and is the States central point of contact for criminal intelligence and counter terrorism issues. 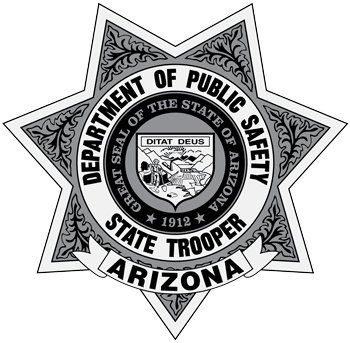 To prevent terrorism and related crimes, thereby providing a safe and secure environment for the citizens of Arizona.